THE DISPUTE over whether the Scottish Government will honour its pledge to boost ferry funding for Shetland Islands Council has descended into a political spat between local SNP and Liberal Democrat MSPs. SNP MSP Maree Todd has written to Shetland MSP Tavish Scott and his Orkney colleague Liam McArthur to ask why they haven’t said they would vote for the government’s budget plans next week if fair funding was included. But Shetland MSP Scott appeared to dodge the question and instead said in response on Thursday that finance minister Derek Mackay “must honour his commitments to the islands”. The matter was debated at the Scottish Parliament on Wednesday and a Liberal Democrat motion calling on the SNP to act on its previous pledge to support the principle of fair funding for inter-island ferry services secured cross-party support. Shetland Islands Council (SIC) spends around £7.6 million a year – nearly half the total running cost of ferries – on plugging the funding gap and officials say services may have to be cut if more money isn’t stumped up by the government. “I think it would be fair to our constituents for you to explain the reasoning behind this failure to back increased funding for Northern Isles ferries,” she continued. Scott did not answer the question put to him by Todd – but he said Shetland and Orkney will hold the government “accountable” if they are left disappointed next week. “Derek Mackay, the finance minister, must honour his commitments to the islands. Maree Todd also needs to honour her responsibilities, not to the SNP, but to Orkney and Shetland,” Scott said. The Scottish Government will announce its 2018/19 budget plans next Thursday (14 December) and the SIC is still hopeful that extra money for ferries will be included. 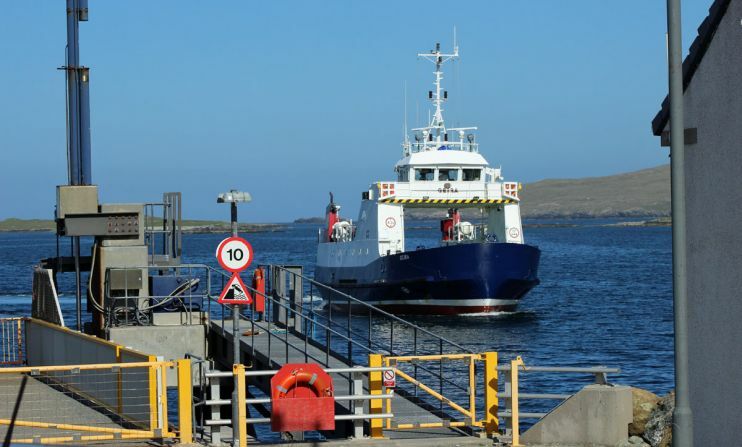 Orkney councillors, however, recently voted in favour of transferring responsibility for its inter-island ferries to the government due to the risk that more funding will not being given. In response to whether extra funding for ferries will be in next week’s budget, a Scottish Government spokesman said: “Shetland and Orkney councillors have held constructive meetings with both the finance secretary and the transport minister, and their funding requests for 2018/19 will be considered as part of the on-going budget process. Click here to read Shetland News‘ report on Wednesday’s debate.